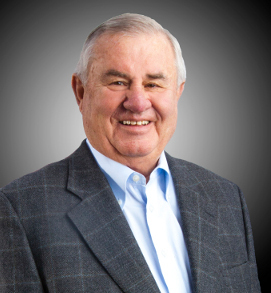 DENVER -- The Society of Independent Gasoline Marketers of America (SIGMA) recently recognized Jack C. Pester, chairman of the board of Pester Marketing Co., with its Distinguished Marketer Award. SIGMA presents the award periodically to an individual who has had a great impact on the independent sector of the petroleum marketing industry. With more than 60 years of industry experience, Pester has built one of the most diversified convenience retail and petroleum marketing companies in the United States, according to a news release. Pester began his career in the 1960s, when he turned a small family-owned Iowa business into a vertically integrated, regional marketing and refining company that operates 220 service stations in 11 Midwest and Rocky Mountain states and a 35,000-barrel-per-day refinery in El Dorado, Kan. In 1987, Pester sold the business to Coastal Corp. of Houston and moved there to join Coastal's senior management team. He retired in 1999 as senior vice president of international refining and marketing. Prior to Pester's retirement, Pester Marketing reacquired seven Denver-area stores from Coastal in 1994. Since then, Pester Marketing has expanded to include 58 convenience stores under the Alta Convenience banner, as well as a wholesale fuels division, Alta Fuels, that supplies transportation fuels and bio-fuels, such as E85 and biodiesel. Additionally, Pester Marketing owns and operates its own fuel transportation company, Alta Transportation, and carries a full line of ExxonMobil lubes through Alta Lubricants. Pester Marketing conducts business in Colorado, Kansas, Nebraska and New Mexico. Pester Marketing Co. has more than 500 employees and recently established an Employee Stock Ownership Plan, under which employees own 11 percent of the company. Pester's past achievements include his service on the board of several publicly held companies, including AmerUs Life, National By-Products, Evergreen Energy and Econergy. He also served on the board of a Russian-owned products pipeline and terminal company, and has held leadership positions in numerous industry trade associations during his career. "Association involvement gave me an opportunity to learn and develop,” Pester said during his award acceptance speech at SIGMA’s annual meeting in Charlotte, N.C. “These organizations [SIGMA and NACS, the Association for Convenience & Fuel Retailing] and the information and forum they provide us is a must to stay relevant in the future."